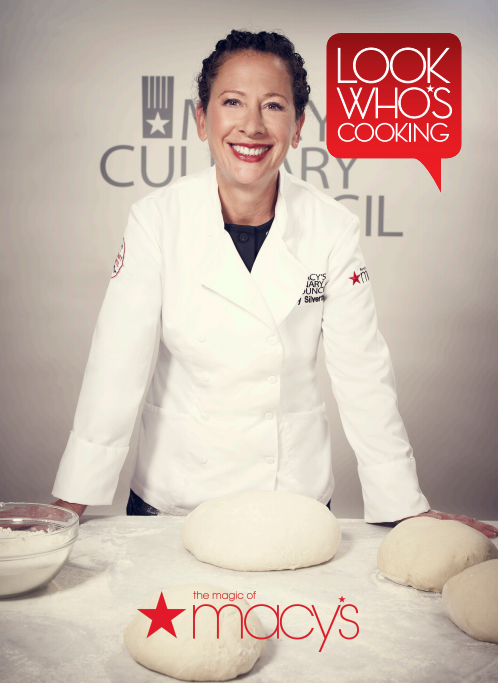 Celebrate Summer and American Icons with Macy’s Culinary Council Chef Nancy Silverton! Event subject to cancellation or change. Seating is first come, first served. *Purchase must be made on 6/3/16 at Macy’s Herald Square only. **Special gift and cookbook distributed on 6/3/16 at event. One per customer, while supplies last and time permits. Gift card valid 6/3-6/10/16 only. Macy's, the largest retail brand of Macy's, Inc., delivers fashion and affordable luxury to customers at approximately 800 locations in 45 states, the District of Columbia, Puerto Rico and Guam, as well as to customers in the U.S. and more than 100 international destinations through its leading online store at macys.com. Via its stores, e-commerce site, mobile and social platforms, Macy's offers distinctive assortments including the most desired family of exclusive and fashion brands for him, her and home. Macy's is known for such epic events as Macy's 4th of July Fireworks® and the Macy's Thanksgiving Day Parade®, as well as spectacular fashion shows, culinary events, flower shows and celebrity appearances. Macy's flagship stores including Herald Square in New York City, Union Square in San Francisco, State Street in Chicago, and Dadeland in Miami and South Coast Plaza in southern California are known internationally and are leading destinations for visitors. Building on a more than 150-year tradition, and with the collective support of customers, employees and Macy's Foundation, Macy's helps strengthen communities by supporting local and national charities giving more than $70 million each year to help make a difference in the lives of our customers.